MY800 automatic diecutting and creasing machine is mainly used for the diecutting, creasing, cold and hot embossing of cigarette box, drug box, wine box and label in the packing and decorating industries. This kind of machine is incorporated with fully automatic feeding, diecutting, delivering counting, obstacle indicating, checking and measuring. 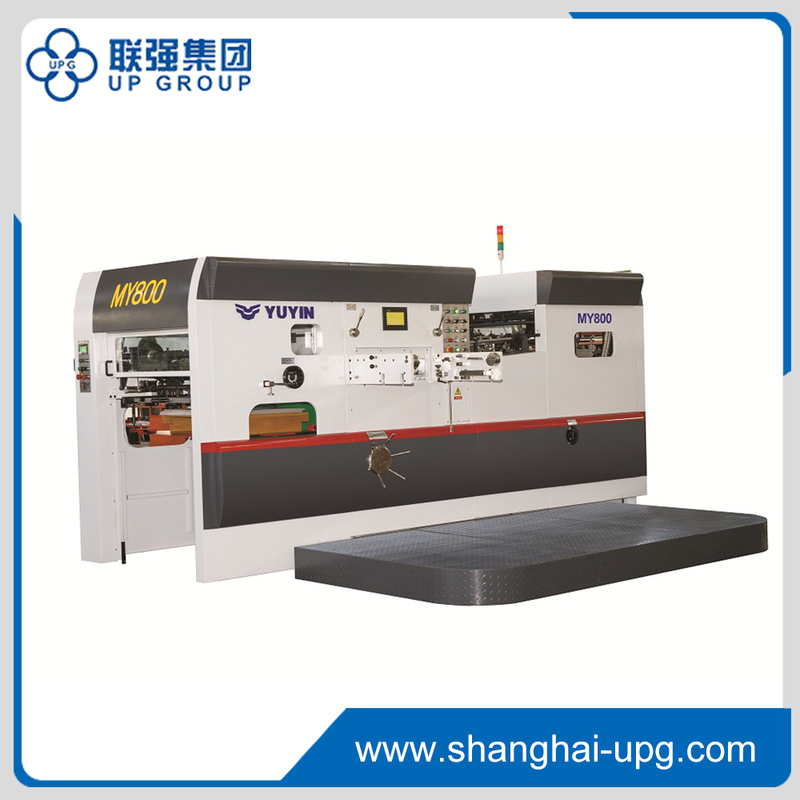 It has the features of easy operating, reliability, high speed and precision. ● It has the features of high pressure, fast speed and high precision. ● Adopt pneumatic clutch, which ensures stable braking. ● Adopt programmable controller, and it is incorporated with fully automatic feeding, diecutting, delivery, obstacle indicating, checking and measuring. ● Adopt coder in controlling program, which makes the running of the machine coordinately. ● The sheet-conveying unit adopts adjustable construction, ensuring speed and precision, especially fits to the conveying of thin sheet. ● Pneumatic sampling system makes the sample-checking more convenient. ● All the electrical are the products that have got CE certificate, every safeguard coincides with CE standard, safe and reliable.